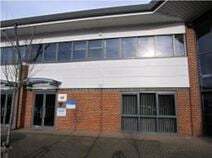 Not far from Petersfield railway station, and close to the A3, this modern centre provides offices in a business park setting. Ample parking is available for clients. A renovated period property offering modern, stylishly furnished offices with round the clock access. There is a staffed reception, meeting rooms and on-site parking. Located a very short walk to Petersfield town centre and rail station, for fast services to London and Portsmouth. Conveniently situated for road access to both cities, via the A3 nearby.